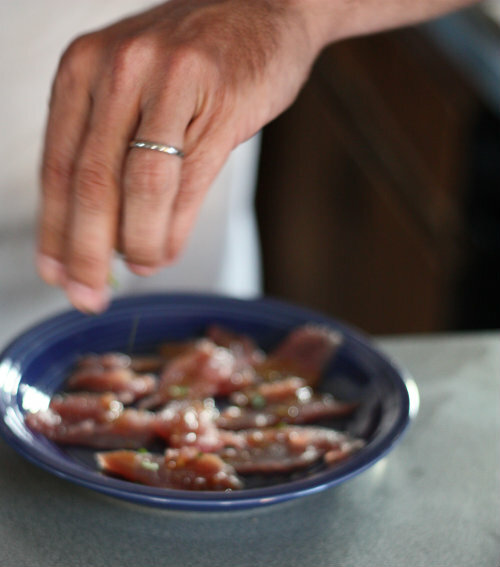 While honeymooning, one of our favorite snacks and pre-dinner appetizers to make and eat was thinly sliced pieces of raw tuna — you heard me. 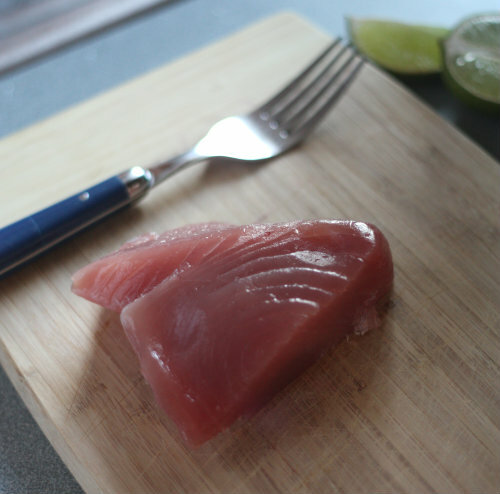 At the beginning of the week, I picked up some fresh ahi grade tuna steaks. It made for such a light, clean and refreshing snack, perfect for the beach — and now that we've been back to reality a for a few weeks, we've put tuna back on the shopping list for a hot summer evening of dining out back. This is one of those really quick and simple recipes that really just requires top quality ingredients to pull it off right every time. So, let's get to it! *No additional salt is needed since the soy sauce provides enough saltiness for flavor. 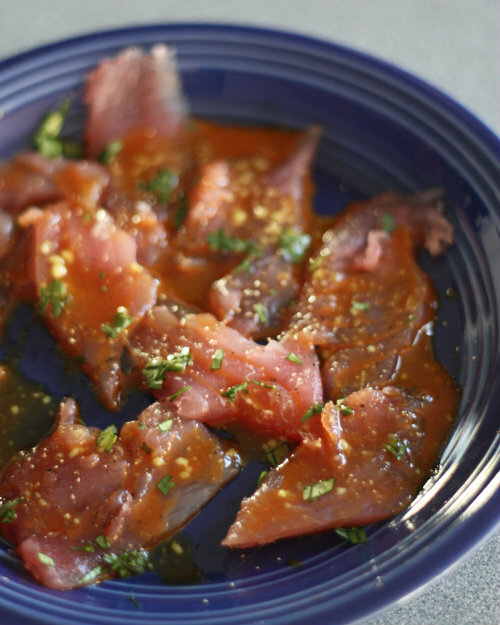 Make the sauce/marinade by combining fresh wasabi, sesame oil and soy sauce in a bowl. 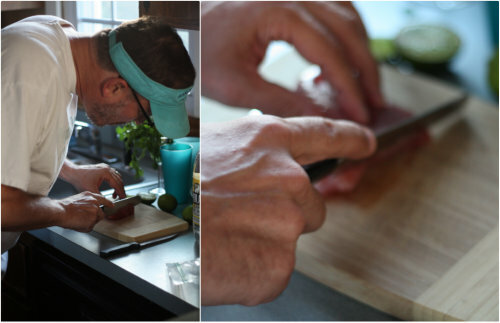 Let sit to combine while moving on to slicing the tuna. The result is a super clean, fresh tuna morsel with a big bite from that wasabi at the end. The tuna must be fresh, but trust me on this one if you're not one for raw fish! Looks great! Where do you get ahi grade tuna in Richmond? I would also like to know where you get it! I know there's Yellow Umbrella. What are the other options? Hey guys! 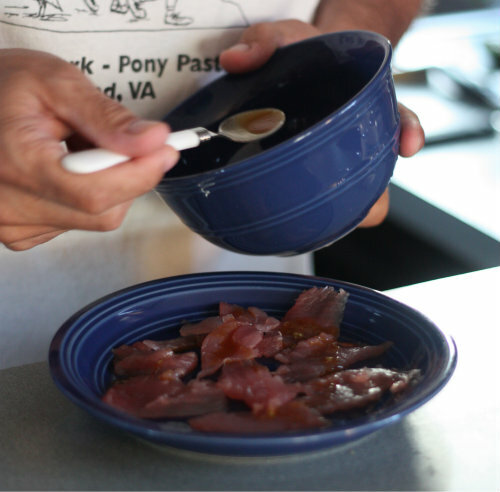 Thanks for asking — we were in Hatteras when we got this Tuna but in Richmond we would try Yellow Umbrella, Bon Air Seafood, and the bigger chains like Wholefoods and Fresh Market carry it too!